The launch of the International Indigenous Design Charter at the World Design Summit (Montreal 2017) preceded the opening of Indigenize Montreal, an exhibition of international Indigenous architecture (above). Welcome to the Indigenous Design Charter (IDC) website. 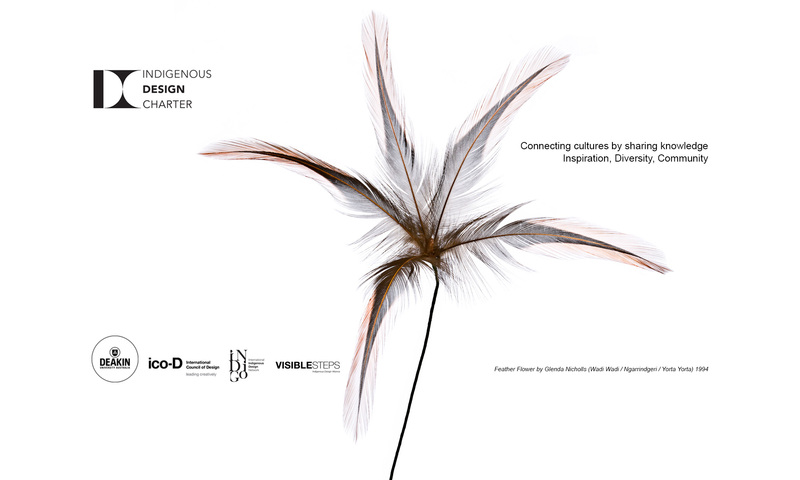 This resource provides an open forum for Indigenous and non-Indigenous design practitioners, educators and students to share knowledge and seek guidance on how to respectfully represent Indigenous culture in their work. The Indigenous Design Charter website houses both the Australian Indigenous Design Charter and International Indigenous Design Charter. The Charters have been officially endorsed by Indigenous Architecture and Design Victoria (IADV) and peak professional design bodies, the Design Institute of Australia (DIA) and the International Council of Design (ico-D) .